It is Wednesday again everyone and that it means there is only one thing! This week’s Wordle Wednesday and the theme this week is the classroom. I feel that I should have done this one right of the start of this feature but I think as I am getting closer to my own classroom; it was about time that I did a word cloud. Once again Monday is upon us and it is time for this week’s Idiom of the Week. I think that this is one of the funniest idioms that most people use. This week’s idiom is be all ears. It is a rather informal idiom. I try to use this idiom when I am talking about ‘listening’. I know that this image is not the most attractive; but it is just as informal as the idiom. 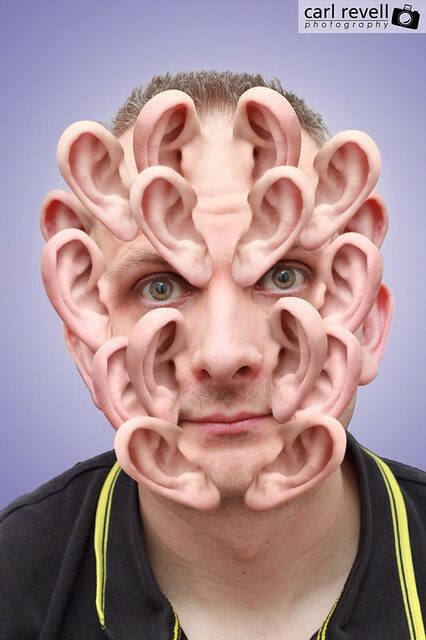 For example; ‘Do you want to hear what happened at the party last night?’ ‘Oh yes, I’m all ears’. This account is ran by the wonderful Lina from My Hong Kong Husband; as her bio states she is a third culture wife. She is a Polish woman who is married to a man from Hong Kong; who are both living in the USA. I know that it not exactly a TEFL account but Lina is amazing. Her blog posts are just as amazing. It is interesting to see her point of view. This account is of TEFL.org.uk; I have not been following them very long, however I love the pictures that are on the account. It is interesting to see where people, who have done their training with TEFL.org.uk, are currently working in. I have been looking at the jobs on the site; I am keeping my fingers crossed that something will come up. 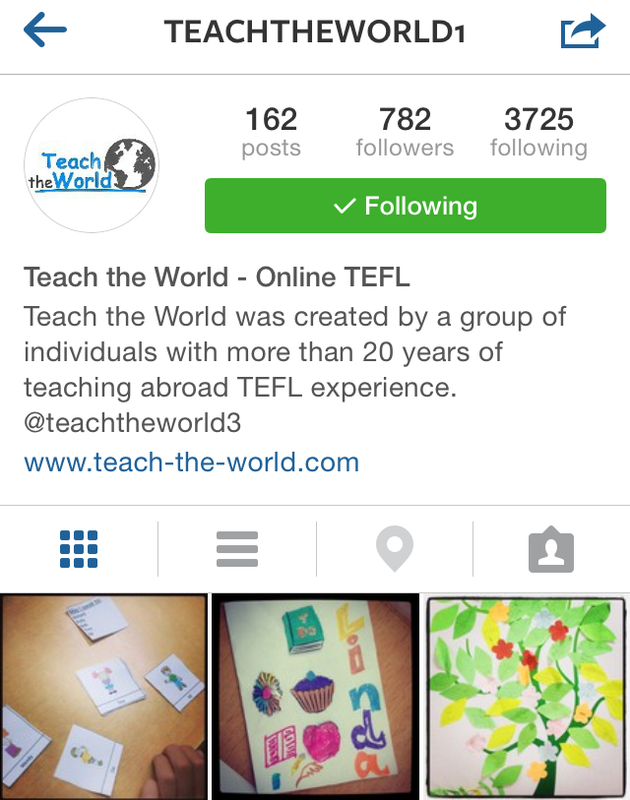 Being a student of i-to-i TEFL; of course I am following them on Instagram. This is just the i-to-i page though. There are currently on posts on the TEFL account – strange right? I am rather excited about seeing where people are at. This account is for the Volunteer section of i-to-i. I have only been following Teach The World on Instagram for a few days but it super exciting to see what resources I could use and see them being used. It is amazing to read their website too. Over 20 years experience is fantastic; I hope that I can join them one day. 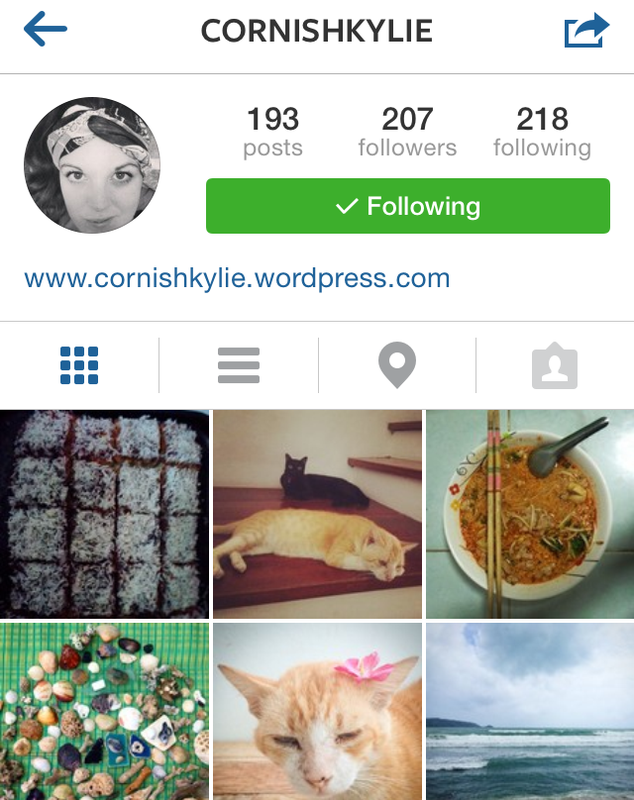 Some of you may have already seen this lovely lady; Kylie (who is also from here in the UK – Cornwall to be exact) is a fellow TEFL teacher who blogs at Cornish Kylie and is currently teaching in Thailand. She is a HUGE fan of cats (as am I) and it is beautiful to see Thailand through her eyes. She is an inspriation! Are there any Instagram accounts you think that I should be follow or think that I should ahve a look at? Please let me know; I LOVE Social Media! It is Sunday already and November is almost at its end. I cannot believe that the month has flown past; it has pasted me by very fast. I am still waiting to find out if I am able to have a Sabbatical for my current job. However; I will know more at the start of December. I would prefer to know now and then I get my place on the Vietnam Internship all booked and then I can save up for everything else; like Visas, spending money and buying some resources. Talking about resources; I have been talking with one of the English teachers (not a TEFL teacher) about resources. It seems that we both use resources (which I am loving). It is a small world; don’t you all think? I have also told her about this blog (I love telling people about this place…); she mentioned about a Facebook Page that she runs – I will post the link when I find it. I have been a little down today; but that could be due to not knowing what is happening with my current job. I really want to know what is happening so I can get my life in order. I REALLY want this and I know that I am ACTUAL ready to go. I have been thinking about what I should pack and what I would miss while I am away. I have also been researching about the currency in Vietnam and what the exchange rate currently is. The money I will receive on the Internship will be in Vietnamese Dong but it will be converted into US Dollars. It is interesting to see how far my money will get me. I wonder if I will have to get a Vietnamese bank account while I am there. I will have to email Rebecca and ask her. What an fabulous idea! It would be fab for topical keywords as well. I am adding this to my list of resources. An upgrade of my previous posts: Box o’ Words and Wall of Wisdom. 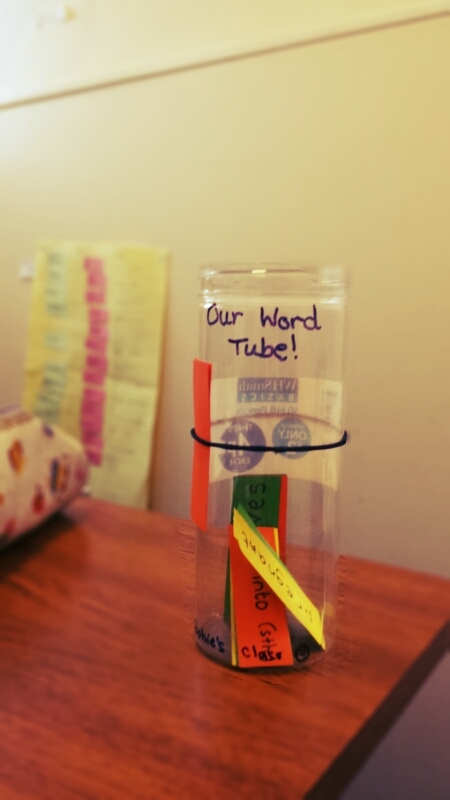 Throughout the week, students add new vocabulary to the tube (or box or wall) and on Friday it’s emptied and used for revision any way you like. E.g. use this word in a sentence, define the word etc. You could use different coloured card for different parts of speech. Green for verbs, orange for adjectives, purple for idioms/phrases and so on. We are halfway through a week and it is now time for this week’s Wordle Wednesday. I decided that the theme for this week should be “the body”. I know that it not the most interesting subject; well unless you are a Biologist. I have been using this list with my youngest student. I have been very cheeky and I have already been watching some of the flights to Vietnam from the UK. I have been saving my AirMiles (they are now called Avios points) for a while and I am at 17,420 points. I just hope that I can use them to get to Vietnam. I want to save as much cash as I can! I have created a HUGE “Things To Do” List; which is a massive list of things I need to do to make this trip a reality. However; there is only one person I need to persuade (or tell) and that is my mother. I think that she is worried that I will not be able to cope; afford or even enjoy being away from her (and the rest of my family). I have also contacted the boss of my current job and inquired about having a Sabbatical for the time I would be in Vietnam; however, the place where I am working is about to go through a major re-structuring process and no one knows what it is going to be like in August 2015. I will have to wait until December this year to find out more. I will keep you all posted about that. I know that teaching English is the next step for me and I have to stop thinking about it and just do it! I have finally started the Teaching Business English module and surprisingly I am enjoying it. However; i-to-i have a new teaching platform and my new modules (Business English and Korea) are on this new platform whereas my ‘older’ modules are on the old platform. It gets very confusing sometimes.I am in two minds about doing the Advanced Grammar course as it is the next level after my Grammar Awareness Course (which I need to remind myself to re-read before I even start any teaching). I know that whatever modules I complete with i-to-i with increase my chances of achieving a teaching post; I just need the experience. I know that completing the Internship, I will gain the experience and confidence to teaching anywhere. I am still a little down after the MEDDEAS application; but there is a silver lining (ooh…an idiom to add to the list) which comes in the form of the Vietnam Internship. I just need to get my arse in gear. The lovely Rebecca sent me an email with some links and I thought that I would share them with you. The Very First Vietnam Internship was a blog post; where Camilla was interviewed about her time in Vietnam. Annabelle’s blog – Do They Have Earl Grey Tea in Vietnam? Because I am SUPER EXCITED (sorry for the caps) I now need to work through my “Things To Do” list and get the pennies in! I am now wondering if any of you lovely people who are followers of my blog; could help me with this Vietnam dream of mine? Please can you all head over to any (or all) of these online shops and see if there is anything that takes your fancy. There are going to be many things being uploaded in the next few weeks.